A few days into the Chinese New Year celebrations of the Year of the Horse, I received a text message that one of our classmates of our 'LSD Group' had passed away on Feb 1 in Shanghai. 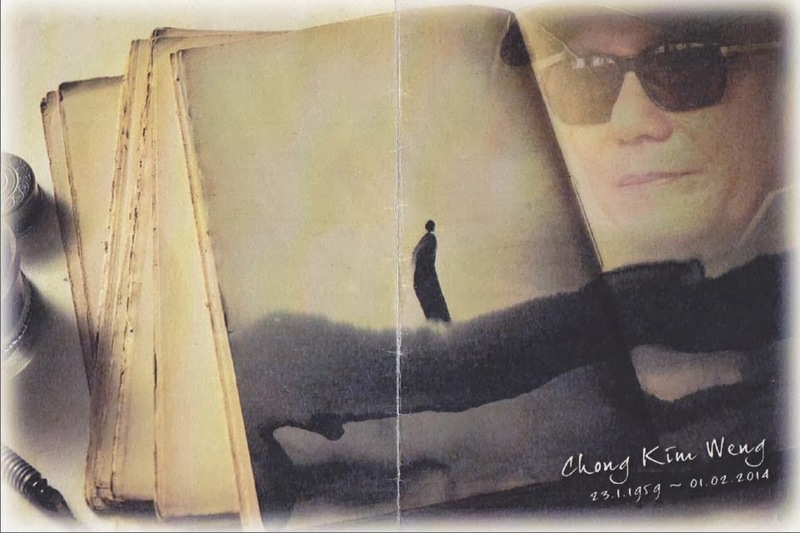 This was Chong Kim Weng, someone I knew well in the class not just because he was a 'Chong' too, though I never learnt if his Chinese character name was similar to mine, but because he had lived in my neighborhood of Jalan Ampang. 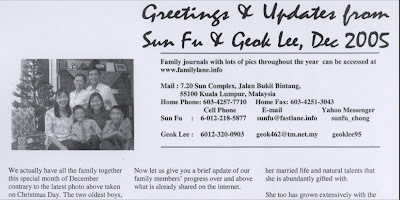 Also I believe my mother knew his mom who had a floral business in the Ampang Park Shopping Centre close by. 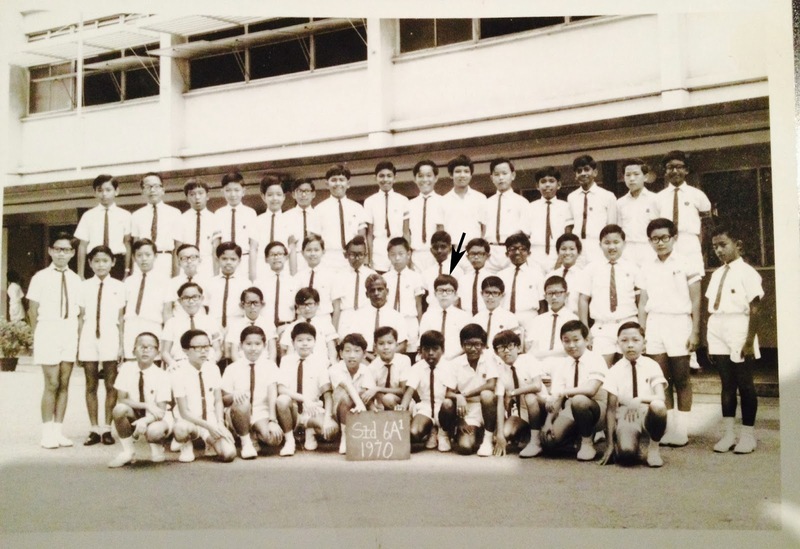 Like most of all the other secondary students, he came from St John's Primary as in the pic above where a small arrow in the centre points to him without which most of us would not be able to identify him! 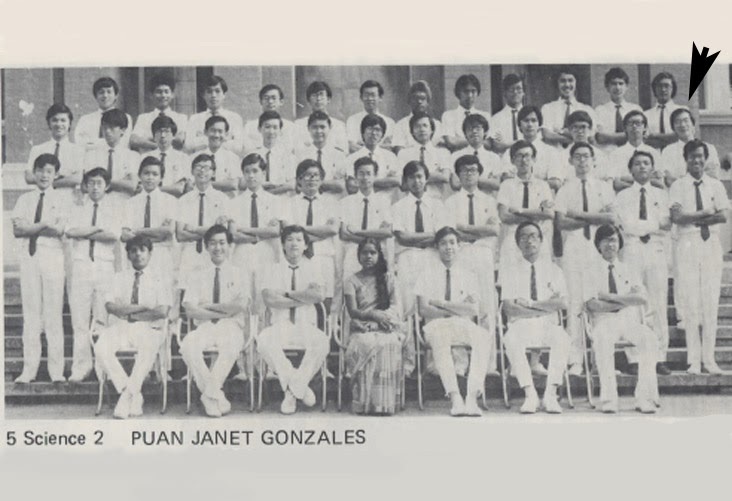 Yes he was a member of our famous 'LSD Lima Sains Dua' class that have held regular reunions together during the past 38 years after we disbanded in the year end of 1975 as recorded in this webpage. 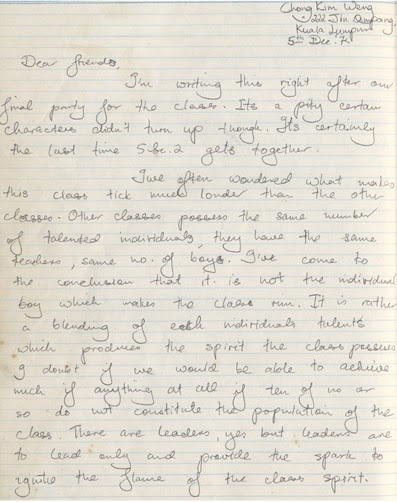 I searched our 'Red Book' that kept the writings of how we felt about our class to find his thoughts written just after what he thought would be 'our final party' for the class! 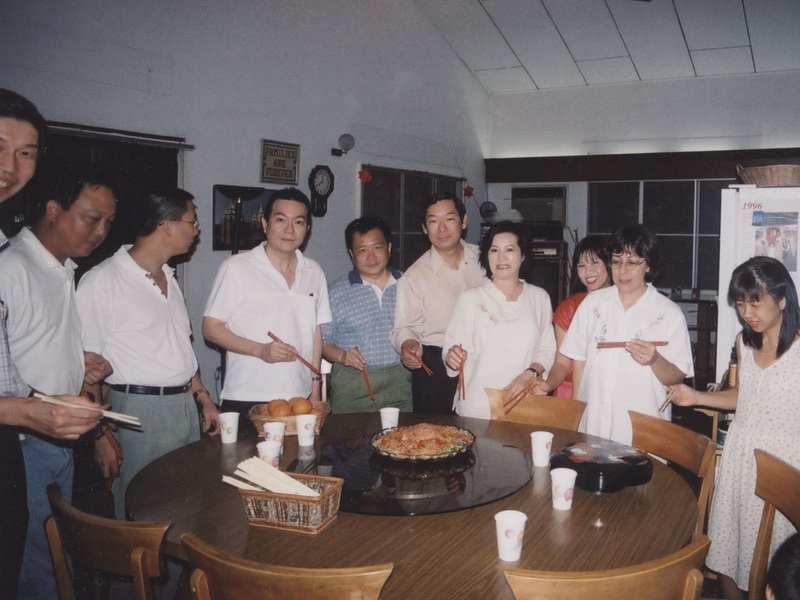 Being a busy lawyer and businessman, we didn't see him often but he did join some of our class get together events like this one during the Chinese New Year celebration of 2005 at our home doing the 'Loh Hei'! He even flew to Singapore to join our Johannian gathering in Singapore in April of 2013, the second last of our reunion event held during his life time. 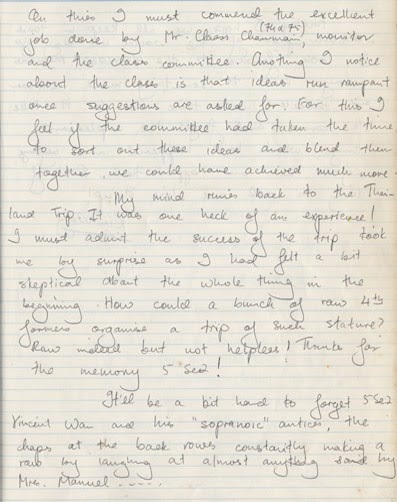 On hearing the news of his passing, I went to check the blog post of our last reunion together in Singapore. It was only then that I realized I had forgotten to post the video of us singing our school rally as we often do. 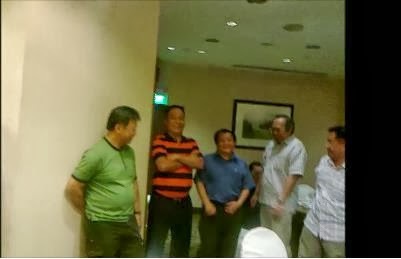 As I played the video, I was looking for Kim Weng and wondered why he was not in the video singing with us? After playing back the video a few times, I discovered where he was. At the very end of the singing clip, I found him sitting behind Chin Kee and Fong Jones, being visible only when the two men moved apart almost at the end of the video. The screen shot of that moment is captured in the above pic. I regret not being able to make it for the unique Irish-style memorial with drinks and songs, at the Tattoo Italian Restaurant off Jln Tun Razak, organized by his children in honour of their father's last wishes. This was held on Sunday 16th Feb 2014 on the weekend I was in Singapore with family doing the closing of our Chinese New Year celebration. 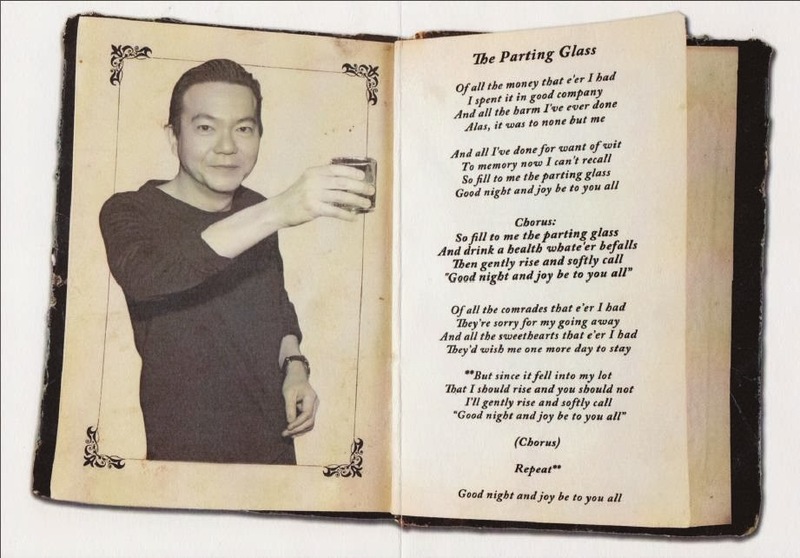 "Attached a booklet showing a picture of him with his 'final toast' and lyrics of a song that all sang." 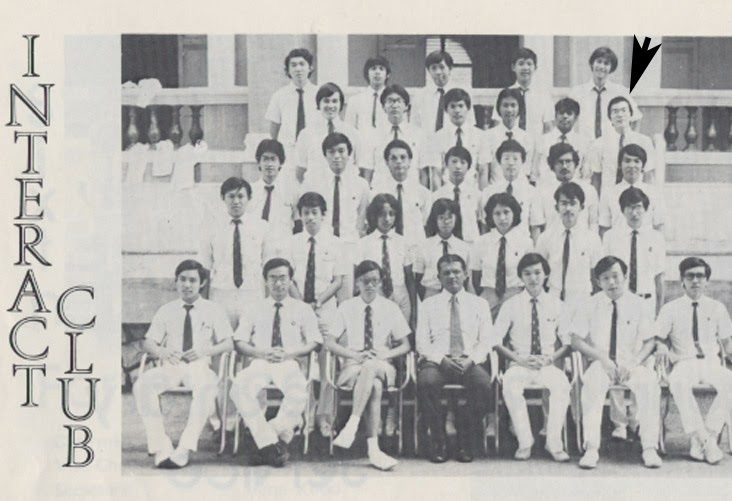 "Pictures also show Kim Weng himself and class photos,(posted earlier in the blog post) his brother (Kim Chuan) and son (Yao Sheng). 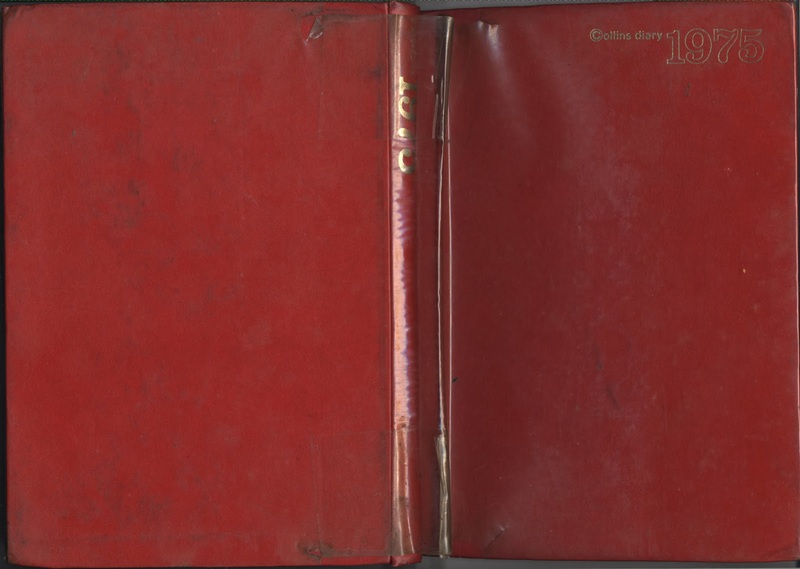 Family members present were his daughters, Fern and Chui Li, and wife Lei Cheng." 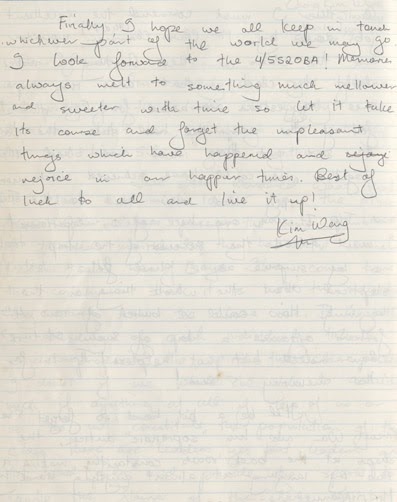 "Karaoke songs were sung by some and I led Johannians who're present to sing the school rally one last time for Kim Weng. May his soul rest in eternal peace.. I got to know recently that he couldn't make it to the last BIG event of the Johannians at the KL Meridien hotel held in October last year as he was already feeling unwell. I just managed to get the DVD discs covering the full event from Chin Kee and feel it appropriate to post them here in youtube format as a momento from all of us to our team mate Kim Weng, who left us early on a journey that we all too must take one day, in the era of our retirement age! The video can also be viewed by clicking here. The slide show video of photos from the event can also be viewed by clicking here. Thanks Fern for the youtube link. I've added the video in the memorial post.